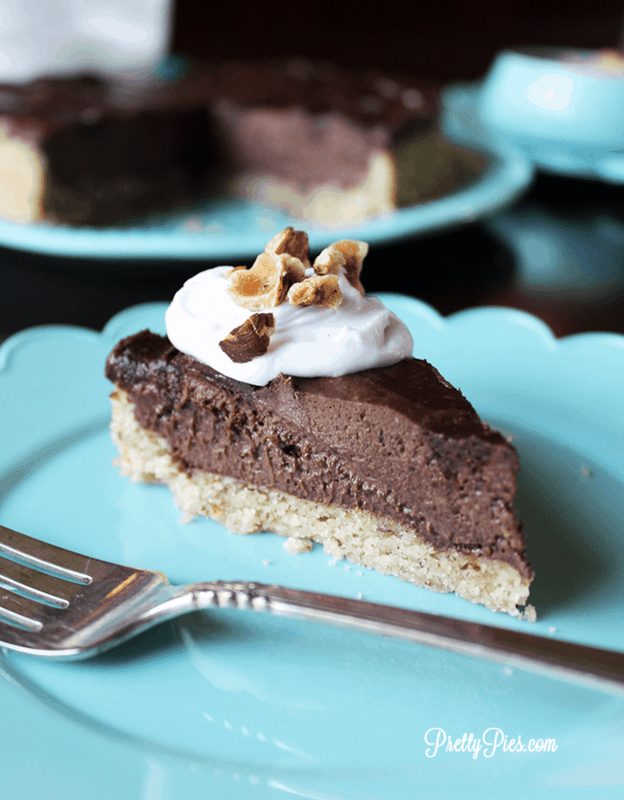 Rich chocolate + roasted hazelnuts + fluffy cream = a silky, heavenly ‘Nutella’ flavored pie! No gluten, dairy, eggs or added sugar! WHY? Because this PIE is adaptable for so many diets! Vegan, Yep. Paleo? You bet! And KETO/sugar-free/low-carb? Absolutely! So a couple of weeks ago, I traded in my really old car for a slightly newer one. I’m probably the LAST person ever to have satellite radio, haha. But OMG the 90’s on 9 and Pop2K a total time warp for me. These songs are taking me back to places and things I haven’t thought about for Years. All of the sudden I’m back in high school. It’s surreal! Feels like another life. And back in that previous life, I ate whatever I wanted without giving it a second though… mostly bread, cheese, and sugar (soooo much soda.. omg). Life was easier.. No checking labels for gluten, dairy and sugar… I had never even *heard* of gluten! “Want a giant spoonful of Nutella, 16 year old self?” I wouldn’t even think twice. But WOW how things have changed. Now I wouldn’t (or more like *couldn’t*) touch “real” nutella with a 10 foot pole. That amount of refined sugar and processed stuff would wreck me and my crazy sensitive stomach. You have no idea how happy that I can make my *own* homemade Nutella now. And especially have it in a PIE! And, to my 16 year old self, I’m making it up to you. Look how far you’ve come! Now our favorite food is BRUSSELS SPROUTS and desserts made of PLANTS, bahahaha! Did you know you can make your OWN ‘Nutella’.. at home, using simple ingredients (and NO buckets of sugar like conventional Nutella). It’s so much healthier. And YOU control the ingredients. It’s so simple. Just throw some roasted hazelnuts in your food processor and blend smooth. Then add in some melted dark chocolate. SIMPLE and simply delish. Salt, vanilla and coconut cream take it over the top. #obsessed. ps. If you’re a fan of Nutella, be sure to check out my Healthy Nutella Bark and Nutella Truffles! 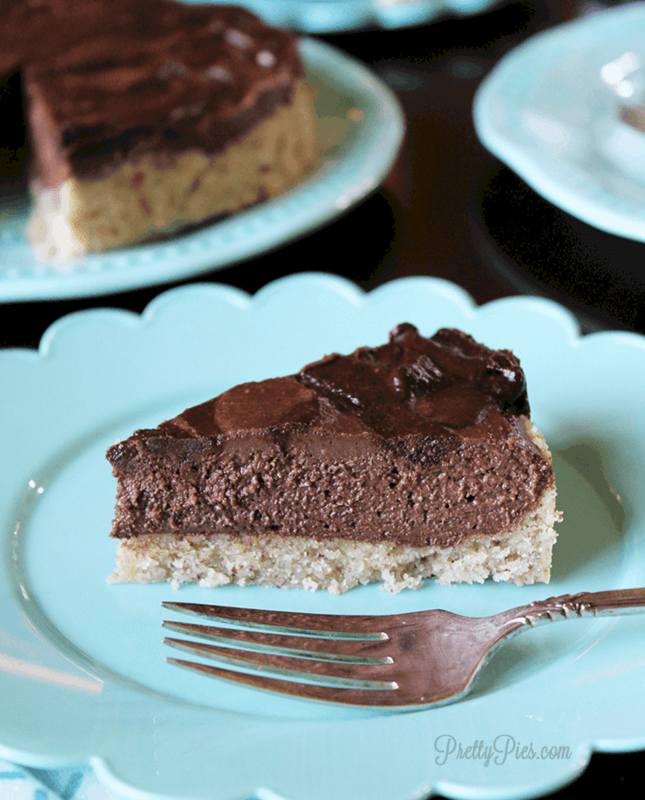 Who *doesn’t* love hazelnut and chocolate together?? It’s so good. Homemade ‘nutella’ + whipped cream + more ‘nutella’ swirled on top = one LUSCIOUS dessert!! For this pie, I whipped the cream separately first, then folded in the ‘nutella’. This makes it more light (see those delicious tiny air pockets?) Sort of like a rich chocolate mousse! Decadent!! 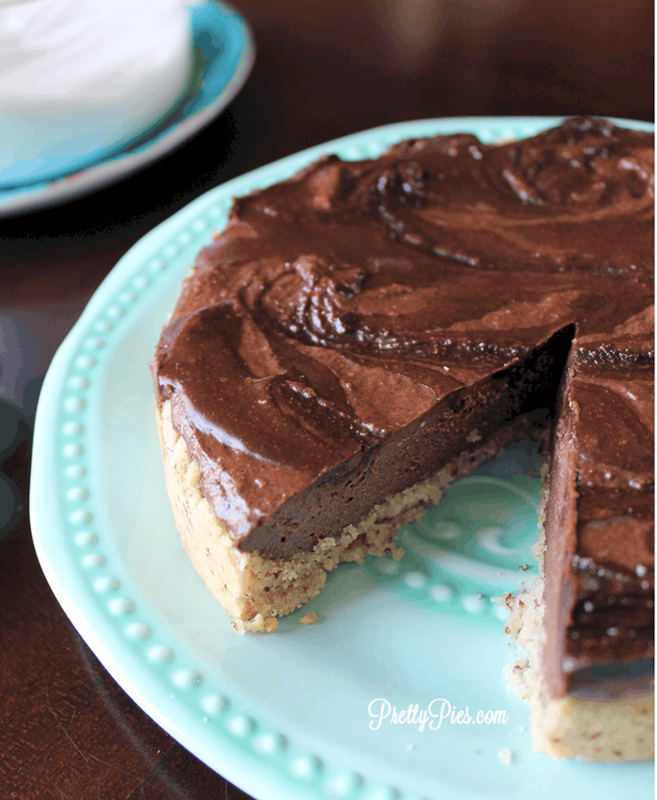 Who’s ready for some heavenly silky ‘NUTELLA’ flavored pie?! *hand raised* Me!! 🙂 If you make this recipe, tag me on Instagram @emily.likes.food #prettypies 🙂 I love seeing your pies! 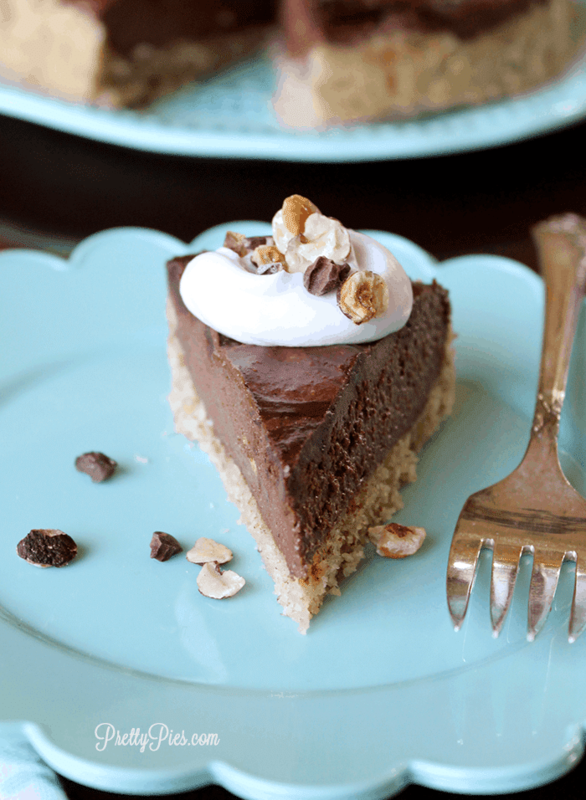 Rich chocolate + roasted hazelnuts + fluffy cream = a silky, heavenly "Nutella" flavored pie! No gluten, dairy, eggs or added sugar! Preheat oven to 350. Line a 7" springform pan with parchment. Whisk together dry ingredients in a mixing bowl (flour, salt and stevia, if using). In a small bowl bowl, stir together flax and water, and set aside to thicken. Pour flax mixture and melted coconut oil over dry ingredients and mix well. Press dough firmly into pan. Prick crust all over with a fork. Bake for aprox. 15 min until firm and lightly golden. Set aside to cool. Scrape down sides and add melted chocolate and salt. Blend smooth. Whip cream with a hand mixer for 30-60 seconds until light and fluffy. Gently fold in chocolate hazelnut mixture (reserving a few Tbs to swirl on top, if you like) Taste and add a little more sweetener if needed. Pour filling over crust. Scoop on remaining nutella & swirl. Freeze for 1-2 hours until set. Garnish with whipped coconut cream (see notes) and chopped hazelnuts. For the hazelnuts: Place hazelnuts on a rimmed cookie sheet and roast about 8 minutes at 350 (until fragrant). Allow to cool. Place in a clean towel and rub together to remove skins for a smoother hazelnut butter. Use a can of Thai Kitchen coconut milk that has been refrigerated overnight. Do not shake can. Carefully open and scoop out ONLY the solid white cream, careful not to get any water in the bowl. Whip with a hand mixer for about 1 minute until light and fluffy. Enjoy! To store: Keep refrigerated in an airtight container for up to 1 week, or frozen for 1 month. 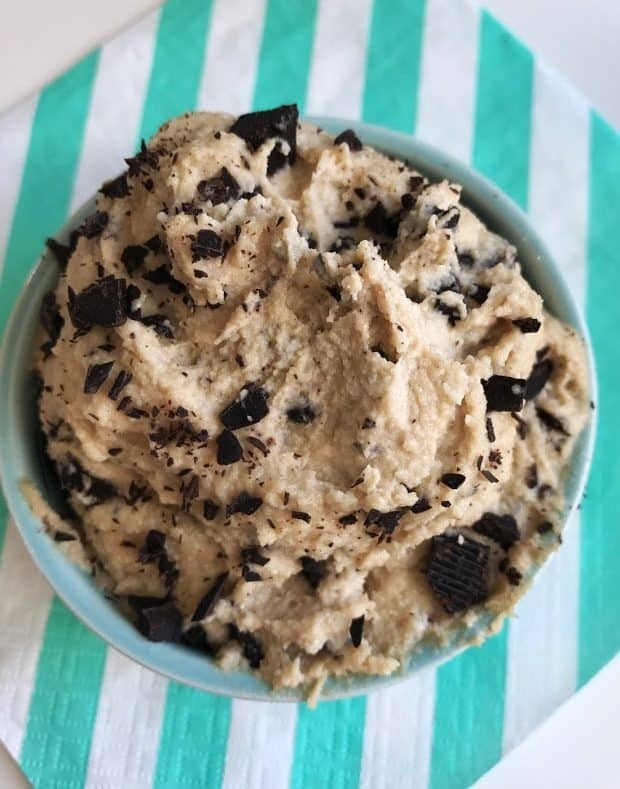 This entry was posted in Uncategorized and tagged almond flour, chocolate, hazelnut, keto, pie, stevia. Whats the specific serving size and how many grams of net carbs per serving? Please, provide the full nutrition per serving: calories, fat, net carbs and protein. You can input all the information into MyFitnessPal and get the information. 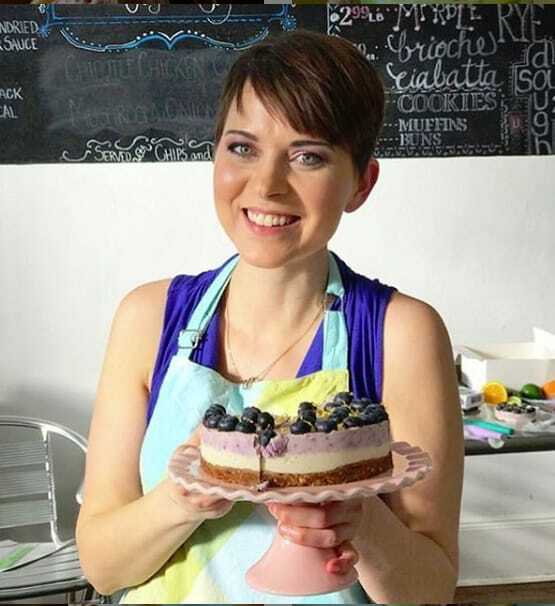 It is going to differ depending on brand of ingredients, etc… So better to do a little of the work yourself anyway. I do this regardless if someone provides nutritional information or not. I just learned there are many kinds of Coconut milk / cream that have additives, and only a few with the only ingredients being coconut and water – just sharing with the world these days as I had no idea – Read the Label on your Coconut milk. I was surprise HOW many additives there are. The canned coconut milk has very few if any. I don’t use the cartons, which are full of additives. Actually most canned coconut milk has sodium metabisulfite, to whiten it. Many people are allergic to that sulfite additive. The exceptions are health brands like Thai Kitchen and some others you will find at places like Whole Foods. As opposed to a typical Asian grocery..where it all has the sulfites. I’ve actually never seen a coconut milk with sulfites added. But yes Thai Kitchen is a good brand. I have started buying cans of organic coconut cream from Thrive Market 🙂 < http://thrv.me/prettypies save 25% off your first order with my link> No additives- just coconut and water. Can you provide the nutritional information? Being keto I find some of these desserts can pack more carbs than I would like! Thanks in advance! Sure! From MyFitnessPal I got 274 cal, 26 fat, 10.3 carbs, 5.3 fiber, 5 net carb, 5 protein. You can cut smaller slices to reduce the carbs if you want 🙂 that’s what I do. Hi, do you have a substitute for flax seed? Thanks! Chia seeds should work, too. Maybe ground into a powder first. If you are keto and not paleo could you sub cream for coconut milk? I made this but with some swaps as I’m keto and not paleo. Butter fornthe crust and whipping cream instead of coconut milk/cream. I may have over whipped the cream before folding in the keto Nutella but holy cow it was amazing. It was like a keto Nutella French silk pie. I might add hazelnut infused whipped cream on top. This was delicious. I have Suntella from Lakanto. How much would I use in place of the Hazelnuts?